 Porcupine: The Porcupine is another living creature rules by the Aries sign of the zodiac. 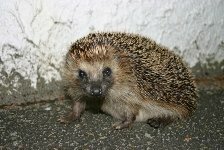 These animals roam the forests and guard themselves by embedding their quills into their enemy. For that reason, porcupines are also known for their symbolic ability to defend and protect. So, if theres ever a time when your Aries soulmate needs to feel a bit more secure and desires to ward off negative influences, the porcupine is the man (or woman ;-)) for the job.  Wolf: This four-legged predator is another Aries symbol ruled by the Aries sign of the zodiac. 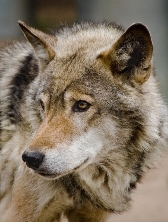 While feared all over the world for its voracious appetite and mischievous deeds, the wolfs poor reputation actually exceeds his naughty behavior. These animals usually live and hunt in packs of 20 or more and gain strength from their group unity. The wolf is intelligent, an enduring hunter, and great communicator. Therefore, the wolf is a great Aries symbol to have around when one needs to focus on a vision, gain awareness, build strength and confidence, and hone in on his leadership ability.  Cardinal: The rich, red-coated Cardinal is another exquisite Aries symbol. These beautiful birds are found in the open woods, forest edges, and parks. Cardinals are wonderful for enlightening and brightening any environment. Their ability to bring a bit of playful spirit into the space they occupy is undeniable. For this reason, this quirky little bird is ideal for renewing ones vitality and vigor, bringing life back to life!  Eagle and Red-tailed Hawk: Large birds, capable of sustained flight, such as the eagle and Red-tailed Hawk, are also ruled by the Aries sign of the zodiac. They are powerful totems for people who need help forming and achieving goals, who need to build strength and grounding stability, and who need to build confidence and surety of path. The presence of these birds, live or symbolic, has the power to bring out the warrior in all of us! Be brave and bold -- Romanceit!